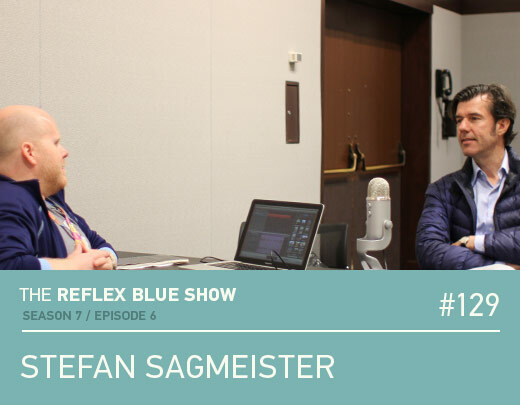 Our second (of five) interviews recorded at HOW Design Live in Boston was with Stefan Sagmeister of Sagmeister & Walsh. I had a few things I was planning to talk about, but I could also tell that Stefan was more concerned with the room we were in than anyone else I had met, so there must have been something behind it. After mentioning that we met briefly backstage at the 2009 AIGA Make/Think Conference in Memphis, it was apparent that he’s passionate about the environment we decide to surround ourselves with, and what it means to us. And this room was not living up to what it could be. We then talk about the High Line, Memphis’ Cook Convention Center, a Castle, buying an axe on eBay, and happiness.